State Capitol Raceway, Port Allen, La. 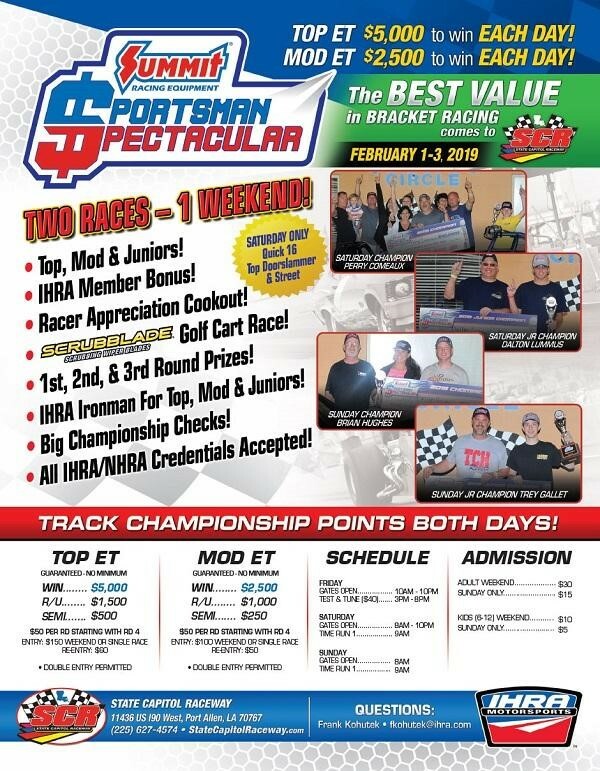 • All IHRA/NHRA credentials accepted at the event. • Event entry takes place at the track. • National contingency program available for all IHRA members who advance to the final two rounds each day. • Sunoco Race Fuels available on site. 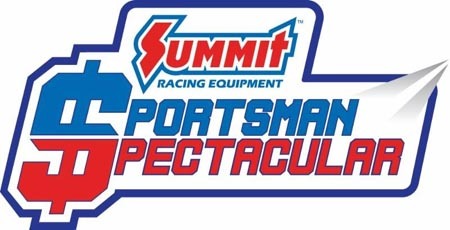 State Capitol Raceway competitors, Visit the IHRA Facebook Page for your chance to win a IHRA Hat ahead of the IHRA Summit Sportsman Spectacular Feb. 1-3!